Swiss-Belhotel Seef has been named the best four-star hotel in Bahrain during The Food and Travel Magazine awards ceremony organised in Manama. Swiss-Belhotel Seef team received the award from Sheikh Khalid bin Humood Al Khalifa, Under-Secretary of Tourism, Bahrain. The hotel’s general manager Herve Peyre said he was very pleased to win the prestigious award and felt honoured by the fact that the selection was done through votes and an international experts' panel. “It is a great achievement and I thank the efforts of the hotel’s team and their ability to exceed the guest’s expectations consistently,” he said. The awards programme evaluated the performance over a year, where consistency, quality and service were the vital ingredients. Peyre promised to pursue efforts to further upgrade services and reach better standards in Bahrain. 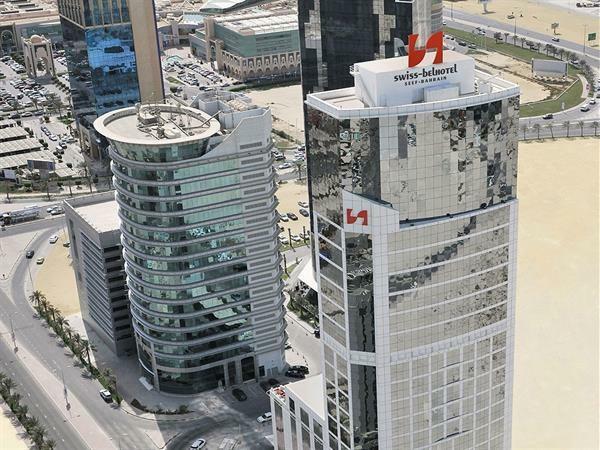 Swiss-Belhotel Seef was inaugurated in Manama in July 2014. Located opposite Seef Mall, it stands 28-storey tall with 144 spacious rooms and suites. Its Swiss-Café Restaurant serves delectable international cuisine all day long, while the roof-top Bar and Lounge, B28, has become a hub for chill-out evening drinks.